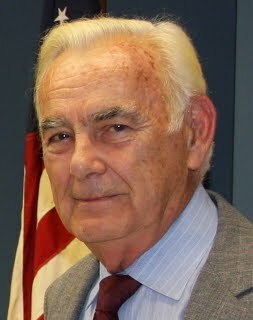 Pennridge School Districts former Superintendent, Dr. R. S. Kish, recently passed away on August 3rd, 2018. Residing in his home, Dr. Kish was accompanied by his wife, Marellyn (Marrow) Kish and family during his death. Dr. Kish was a respected individual who was a key advocate for the academic and scholastic growth of the Pennridge School District. Dr. Kish was most well known in the Perkasie area for being the Superintendent of Pennridge School District for 17 years, retiring in 2013. Here, Kish effectively, financially, and economically built up the Pennridge name. Upon entering the school board, the Pennridge community was left misguided from two recent teacher strikes. Dr. Kish, as the calm and collected man he was, entered the situation and resolved the issue, repairing relations between the school board and striking employees. This was Dr. Kish’s first major accomplishment as superintendent. The list of his additional successes yield many more positive effects. These include reconstructing Penn Central Middle School to become more technologically advanced and sustain two no-tax increase budgets without canceling or cutting programs or increasing class size within the facility. To understand Dr. Kish’s professional nature and time spent at Pennridge, I interviewed the respected Assistant Principal Mr. R. Ott in the Pennridge High School building. Questions sparked the curiosity that I thought students at Pennridge would be interested in learning about, furthering information on what exactly our former SA’s demeanor was. Speaking from the experience of a student in the 12th grade, I was enrolled in elementary school throughout the final stretch of Dr. Kish’s term on the school board. Therefore, I never became familiar with Superintendent Kish versus other officials prior to his retiration. Many answers regarded Dr. Kish’s professional and respectable nature. As a supervisor, he was labeled the “perfect gentleman”- always consistent and professional with the administrative staff as a whole. Kish also stretched his limits, consistently working further than his estimated potential. Not only did he set high expectations for himself, but for the personnel working below him as well. Kish stressed the importance of completing every action with the determination of benefitting the individuals in the school district body. His belief that every member of Pennridge should work together in support of the ultimate goal: constructing a successful pathway for Pennridge students in their future endeavours should be achieved by all. “He was the ultimate hard worker, always set the bar high for himself and all employees to follow suit”, Mr. Ott explained, “Dr. Kish always made decisions in the best interest of the students and staff”. All of these traits combined together describe a remarkable team captain that focused his energy in leading his team to victory. Although passed on, Superintendent Kish’s legacy lives on through the grateful faculty, students, and school community.